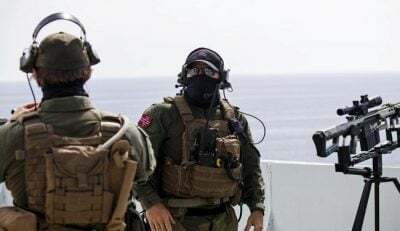 As we speak, NATO is in the middle of deploying 50.000 troops, 250 aircraft, 65 vessels and 10.000 vehicles all across Norway’s territory, as well as in some areas in Sweden, Finland, Iceland and other Baltic countries. More than 30 NATO members are participating in this exercise named Trident Juncture 18, the largest ever of its kind, surpassing all previous NATO exercises in Norway such as Cold Response (11 nations), Dynamic Mongoose (8 nations) and the Arctic Challenge (9 nations). Although NATO states that Trident Juncture 18 is to show that “it is capable of deterring any adversary, not anyone in particular, no particular adversary”, it should be obvious that the currently growing tension between the West and Russia stands as the main reason that can justify the sheer ampleur of this years’ deployment drill. Over the last decade, but especially the last 4 years, relations between Russia and the West have been worsening by the day – a current geopolitical climate that echoes all the way to the Arctic – historically a major military theater during the height of the Cold War. So are we amidst a new and revived Cold War, or what is this growing militarization of the Arctic supposed to be telling us? Right in the middle between NATO and Russia, Norway stands as a hotspot for a pending conflict. As priorly mentioned, the Arctic was a heavily militarised area throughout most of the Cold War, but experienced an explosion in transnational cooperation once the war ended. This can be seen in the formation of the Arctic Council in 1996 and the Barents Euro-Arctic Region in 1993, among with many other similar organisation, that operate to desecuritise and demilitarize the Arctic through cooperation on common issues such as climate change, environmental concerns, indigenous rights, shipping, resource management and more. Over the last three decades, these organisations have helped improve the Russo-Western relations by means of collaboration, something that for long had been an absolute priority of Norwegian foreign policy goals. Norway decided to join NATO at its very foundation in 1949, only 4 years after the Soviets liberated Norway from Nazi occupation during WWII, to the obvious disapproval of the USSR. Given its strategically important hence vulnerable geographical position, Norway decided to limit its role in NATO during the Cold War as an information and intelligence provider only, in order to avoid provoking the Soviets too much – a role that Norway continues to play even after the Cold War has ended. This was seen for example in 1999, when the Raytheon-made Globus II radar moved from California to Vardø, a small Norwegian town only 28 km away from the Russian border. The radar is currently administered by the Norwegian Intelligence Services, and although NATO state that the radar is being used for space surveillance and research only, its location so close to the old Soviet military town of Murmansk should tell enough about its intended aim. Vardø locals have expressed concerns regarding the Globus II station, with Lt. Col. Tormod Heier, faculty adviser at the Norwegian Defense University College in Oslo going so far as saying : “Russia views Vardø as a high-value target. In a crisis it will be one of the first places to be blown up”. As of 2017, the Norwegian government is working on a Globus III radar station in Vardø, supposed to replace the older Globus I radar and expected to be operational within the next 2 years. In a growing conflict between the two old nemeses Russia and America , Norway’s policy of Arctic de-escalation is proving to be increasingly difficult to achieve. Using Trident Juncture 18 as a way to bring Finland and Sweden closer into its ally circle, NATO is showing that it has very specific expansionist aims in the Arctic and Baltic Sea region, not unlike the rest of the world. Ever since the end of the Cold War, Russia has repeatedly been shot down every time it has attempted to get closer with the West. When the German reunification deal was negotiated, Russia was promised that NATO would not extend an inch eastwards towards ex-Soviet nations in exchange for Russia agreeing to reunify Eastern Germany with the the rest of the country- a promise that was obviously never kept. In 2001, Putin expressed a desire for Russia to join NATO, an olive branch the West arrogantly rejected as well. Instead NATO continues its expansion Eastward, with 21 EU nations now being a part of NATO as well, surrounding Russia on almost all fronts. Back in 2002, the US announced that it was leaving the Anti-Ballistic Missile Treaty (ABMT) signed in 1972, and again announced in 2018 that it was leaving the Intermediate-Range Nuclear Forces Treaty (INF Treaty) signed in 1982. Both treaties were signed during the Cold War as part of the detente strategy plans, yet remained extremely relevant in the post-Cold War world as well. The US then helped overthrow Ukraine’s president Viktor Yanukovych in 2014 while steering one of Russia’s oldest allies, Ukraine, away from it and towards NATO and the West. 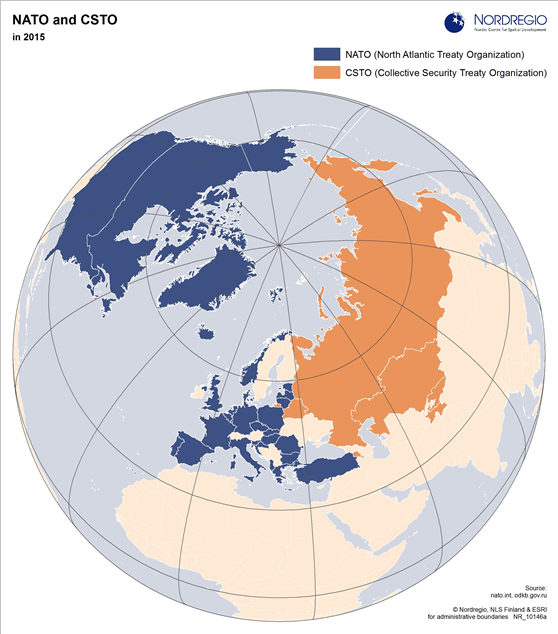 NATO was founded as a Cold War alliance that should technically have ended when the war did, yet it has instead only grown bigger and stronger, as it capitalized on the extremely weakened, newly-capitalistic Russia of the 1990’s – a country in such shambles it was incapable to assert itself as a dominant world power in the post-Soviet world. Putin’s popularity among Russians rose as a direct result of a decade of national shame that inflicted the Russians during Yeltsin’s 1990s. With a very patriarchal authoritarian style of democracy, Russians traditionally seek in their leader someone who can stand up to Western powers rather than bending to their every will – hence it doesn’t come as a surprise that Putin is doubling down on NATO’s wargames in the Arctic. Russia has massively been rearming its navy in the Kola Peninsula, with around 50 new reinforced large weapons bunkers for both nuclear missiles and conventional long-range high-precision cruise missiles currently being built in Severomorsk, only 100 km from the Norwegian border. Ahead of the Trident Juncture 18 mission, Russia decided to extend their own Eastern venture, the Vostok-2018 military drill, all the way to the Arctic as well. Vostok-2018 is the largest military exercise conducted on Russian soil since 1981, involving a stunning 300.000 troops, 1.000 aircrafts, 36.000 tanks, and a previously unseen and surprising cooperation with China and Mongolia. Flexing its muscles ahead of the Trident Juncture 18 mission, Russia had in August already sent 8 ships to sail the Barents Sea. In September they showed off their new mobile coastal defense system by shooting missiles off the base of Kotelny, and this October they sent nuclear submarines and strategic bombers sailing on a combat training mission in the Barents Sea. Russia is trying to send a resisting message that it refuses to stand iddly by while NATO operates at its doorstep – a message that NATO only sees as an opportunity to further increase its own militarization ahead of what they perceive as being a rising Russian aggression. One could question how we have gotten to this point in history, one where it feels like we are amidst a second yet more serious Cold War – at least according to Stephen Cohen, professor emeritus of Russian Studies and Politics at NYU and Princeton. Relations between the West and Russia started going South in the post-9/11 political climate, perfectly timed with Putin coming to power and refusing to support the Iraq war. Along with his differing views on the Caucasus conflict, Putin showed a willingness to again stand up to NATO and Western powers – something Yeltsin hadn’t done for an entire decade. This trend of Russian revival continued when Russia decided to intervene in Syria and when it annexed Crimea. What the world heard through these actions, was that Russian sovereignty was reborn and ready to have a say in global affairs once again. Needless to say, many powerful people didn’t like that one bit. In its quest for hegemony, NATO is hardly accepting any form of bi- or multipolarity. With the rising of Russia and China as increasingly stronger military powers, NATO feels the need to show that it still stands as the sole global power above all other. There is in the US a quite prominent anti-Russian lobby which has been pushing ever since the end of the Cold War for keeping the tension with Russia at a high level (Tsygankov, 2009). In doing so, the US has a ‘boogyman’ it can use to justify massive arms sales, NATO expansion and military interventions, all in the name of deferring Russian influence abroad – just as it did during the Cold War when pretending to fight communism everywhere from South America, Asia and the Middle East. Our general lack of introspection, historical retrospection and media criticism is driving us towards a conflict that is totally unnecessary and with potentially sever consequences on a global scale. The future of the Arctic depends entirely on what kind of narrative we in the West decide to adopt towards Russia. As Russian influence becomes an ever more crucial talking point, especially right around the coming midterm elections, it could have disastrous consequences if politicians start arguing about who can be the “toughest on Russia” in order to gain political points (Basulto, 2015). Arctic cooperation, resilience and prosperity can hardly be achieved if we once again divide our planet in half due to a complete fictional and arbitrary fight of ‘good vs. evil’, or ‘Western democracy vs. Russian authoritarianism’. Unfortunately in today’s political climate, simply attempting to lower tension to a level of sober sanity will stamp you straight away as a Russian stooge or Putin apologist. “When people like you call people like me, and not only me, but people more eminent than me, apologists for Russia because we don’t agree with your analysis, you are criminalizing diplomacy and detente and you are the threat to American national security”. Acts such as criminalizing diplomacy, expelling Russian diplomats en masse, blaming Russia for meddling in elections and poisoning ex-agents on foreign soil while holding little to no evidence, is the kind of behaviour that will only worsen relations overall – while slowly transforming the Arctic back to its prior role as a military theater, instead of the peaceful region that it has been for almost 30 years now. In the midst of it all, Norway can only brace itself for what is to come. Although drills such as Trident Juncture 18 will work to secure Norway and help it react to any forthcoming Russian threats, one could maybe question why we in the first place have reached a point where such measures are seen as necessary. If keeping relations with Russia on the positive side is one of Norway’s top foreign policy concerns, which it has attempted to do through Arctic cooperation, maybe the wiser path would be to keep the Arctic as military-free as possible. This would be something which the whole world would most likely benefit from as well. No one has anything to gain from a new Cold War in Arctic. Jonathan Sigrist is a student at the University of Tromsø in Northern Norway, currently studying the geopolitical, environmental, cultural and economic relations between the Arctic nations (The US, Canada, Russia, Norway, Finland, Sweden, Denmark/Greenland and Iceland), as well as the future of the Arctic’s role in global politics. He has lived in Denmark, Sweden, Finland, Norway and France, and is a fervent observer and critic of US and NATO foreign policy.